Home | PARTY SUPPLIES | DECORATIONS | Small Dinosaur Plush Neon Toys, 12 Pcs. Small Dinosaur Plush Neon Toys, 12 Pcs. 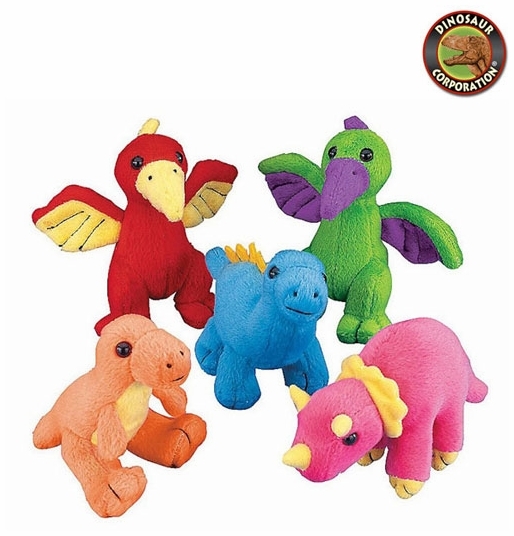 Small Plush Dinosaurs Neon Toys. These cute dinosaurs will add a splash of roaring color to your dinosaur themed birthday party! Put them in goody bags or use them to create prehistoric centerpiece decorations.